I live with my husband John; we have been married for six years. He is the youngest of six siblings, and I am the oldest of four. We enjoy spending time with our nieces, nephews and our extended family. I lead a department of three youth services staff who create and present all of the fun library programs for children and teens ages 0-18 and their caregivers. We spend a lot of time planning and preparing events that are fun and sneakily educational, and we make many outreach visits to area schools, preschools, and child-care facilities. I also enjoy working with our Teen Advisory Board and our other amazing teen volunteers. Additionally, I purchase all of the books, DVDs, STEAM kits and other materials for children and teens. What do you think sets the Waukee Library apart from other metro-area libraries? To me, two of the most exciting things about our library are our Digital Scholar program and our STEAM Library. Digital Scholar is a partnership with the Waukee schools that allows all Waukee students access to our online materials with their student ID numbers. Our STEAM Library offers a wide variety of educational items that all library cardholders can borrow for three weeks at a time. The most popular item is a Dash Robot. We also have a learn-to-knit kit, a keyboard, a telescope, a microscope, Little Bits, more robots, and several other items. This collection is growing all the time. Any exciting winter programs you’d like to tell us about? We have a Winter Reading Bingo challenge going on for all ages until the end of January. People can sign up on our website or stop into the library for a Bingo card. 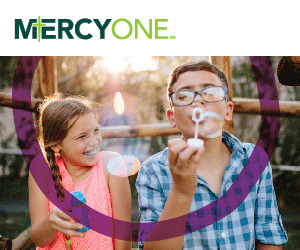 For special events, we have some new monthly programming for elementary students who are fans of the “I Survived” series, a new monthly Craft Lab and a Family Disney Fan Trivia fundraiser coming up on Feb. 2. Any New Year’s resolutions you care to share with our readers? Nothing too exciting—just trying to be more healthy! My family and I are originally from the Des Moines area, but we moved to Joplin, Missouri when I was in junior high. Now I’m back and proud to be an Iowan again! My grandpa, Paul Coggeshell, had a chiropractic clinic on the south side for many years—it’s surprising and heartwarming how many people recognize my last name and ask if there’s any relation. I am a spoiled only child and was raised by my wonderful mother, Micci Krause, who owns a thriving real estate company. Though it’s a bit of a trek from Joplin, my grandma and mom make frequent trips to visit me—and to go shopping at Jordan Creek. I’m the adult services librarian at the Waukee Public Library. I’m in charge of planning all of the adult programs as well as managing and developing the adult book collection. In short, I’m responsible for running all the fun events and buying all the books for our adult patrons. I’m also in charge of Lit+Fix—our personalized book selection service for busy caregivers and parents. Soon, I’ll have a hand in curating our library’s new art gallery, which is opening in the spring. I think our library is set apart by the strong sense of community in Waukee. 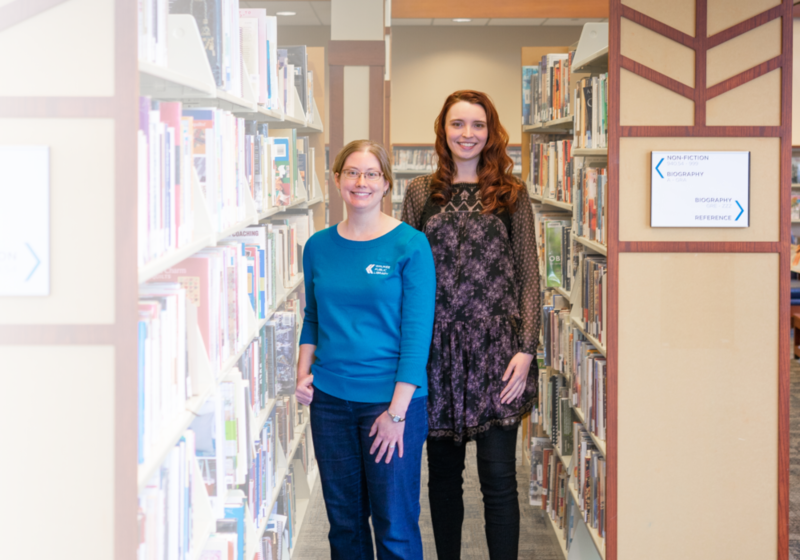 We serve one of the fastest growing cities in the metro, but our library offers a welcoming environment and friendly customer service that’s usually attributed to smaller towns. Library staff members really take the time to get to know our patrons and we pride ourselves on working together to meet the community’s needs. I have so many great upcoming programs planned for adults! There will be classes on 5k Training and Disney Travel 101, a craft workshop on Beginner’s Knitting, an Herbal Tea: Mixology 101 class, and history talks on “Lessons from the Holocaust” by Brad Wilkening and “Buxton, Iowa: The Making of a One-Of-A-Kind Town” by Iowa author Rachelle Chase. In March, we’ll kick off a new year of our Local History Series in partnership with the Waukee Area Historical Society with a presentation on “Minburn Singing Wheels” and our Lunch & Learn sessions in partnership with Waukee Parks & Recreation with an iPad Basics class. Be sure to check out our website, give us a call or stop by the library to get all the details! My resolution is always to eat healthily (but save room for dessert), stay active and make some great memories.